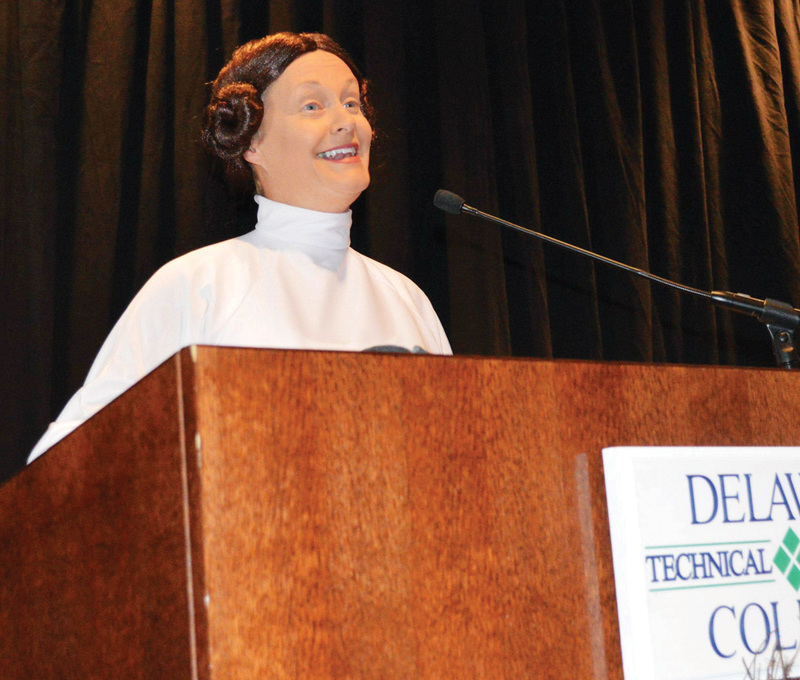 DelDOT Secretary Jennifer Cohen addressed the crowd at Delaware Tech’s Today & Tomorrow Conference on Halloween in full ‘Princess Leia’ regalia. “Help me, Sussex County — partnering is our only hope,” said DelDOT Secretary Jennifer Cohen at the Today & Tomorrow Conference, held at Delaware Technical Community College on Oct. 31. Cohen attended the event dressed as “Star Wars” character Princess Leia — buns and all. Cohen discussed the future of transportation in Sussex County, noting that over the next six years, the State will be making an “epic investment” downstate. The Boring Company, founded by Elon Musk, has shown interest in bringing its hyperloop to Delaware, she said. “There is absolutely no reason why we can’t have a hyperloop straight down the middle of Route 1,” said Cohen. Currently, the company is working on creating a hyperloop in Los Angeles, with talks of expanding to Baltimore and Chicago. So, why are they considering Delaware? Transportation is quickly changing, said Cohen, and governments need to be prepared to move with it. Along with governments, the people of Sussex County, and Delaware, she said, need to be open to change as well. “We are doing more in Sussex County than we have ever done in Sussex County — but way long overdue… We are going places in Sussex County. Please be open to the transportation of the future. You’re going to see a lot more public transportation, a lot more innovation coming out of the department.